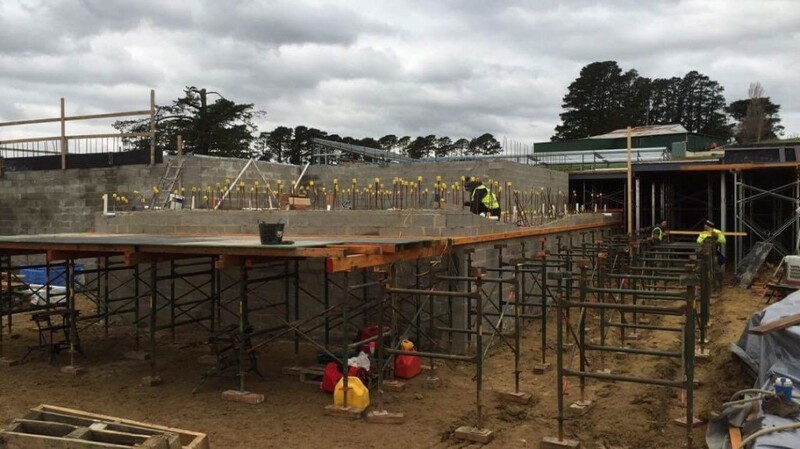 So we’ve recently sprayed our Narre Warren Pool, which was an enormously detailed build. 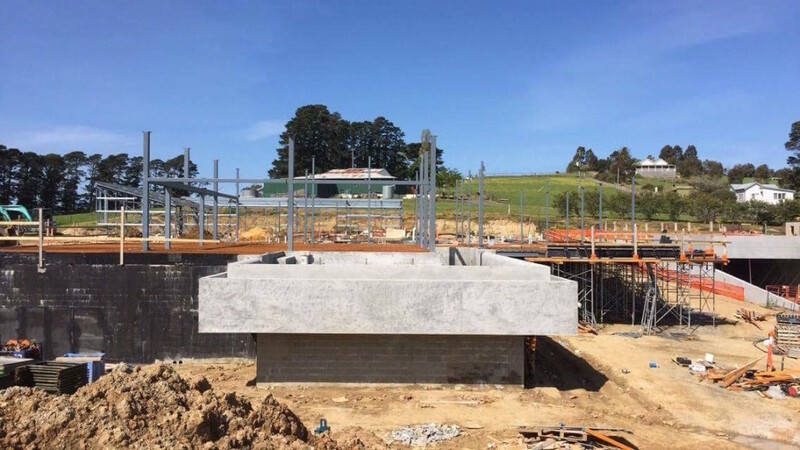 The pool starts off at 17x2metres in size and continues around the corner to a size of 10x10m. 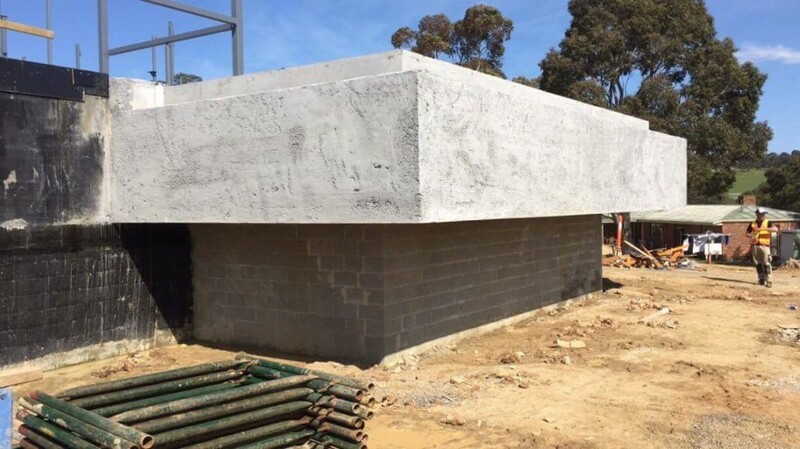 Not only does this pool sit 3.5metres above ground level, it also has 30 lineal metres of wet edge and trough cantilevered 1.8metres out from the pool shell. 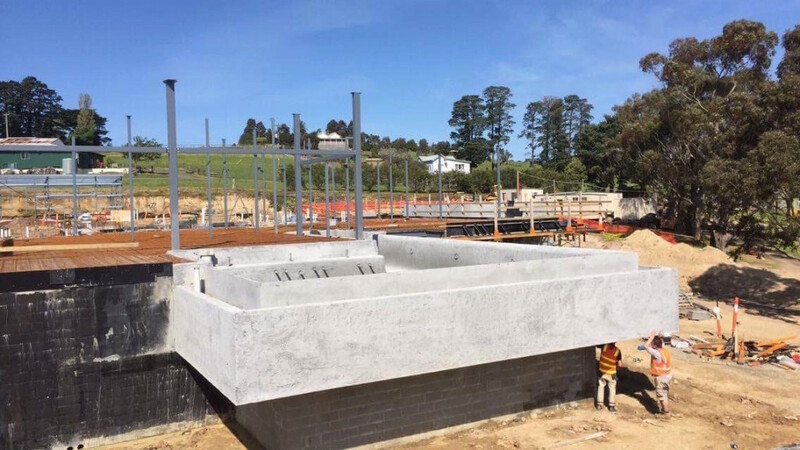 The floor and walls of the pool are all 300mm thick with double steel and took a total of 80 cubic metres of concrete. Simon , one of the directors had quite a few sleepless nights in the build of this pool. Not only was there a huge amount of effort in setting up the Acro Props to support the cantilevered parts of the pool, it also had to be built in a particular way, so that the boxing once removed, would leave a flawless finish, as unlike most in-ground pools, the foundations of this pool are a visual feature. The pool will now be put on hold while works commence on the new home. We look forward to sharing more of this pool once we’re back there mid next year to complete the project. This is no doubt going to be an award winning pool once complete.